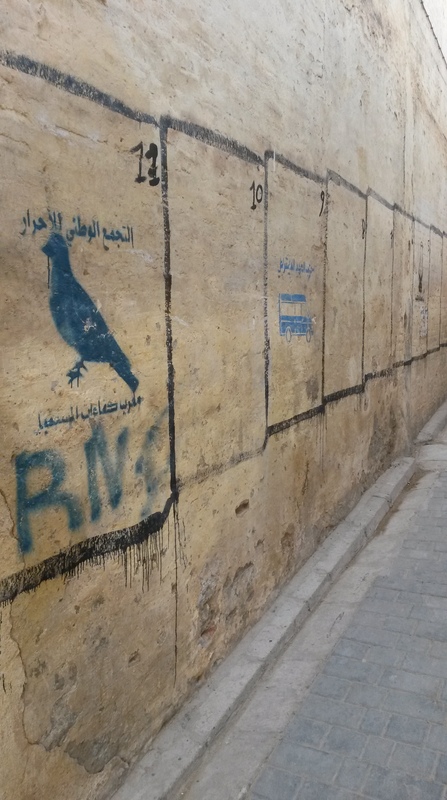 We spent this afternoon exploring the Fes medina. Here are a few of the things we saw! 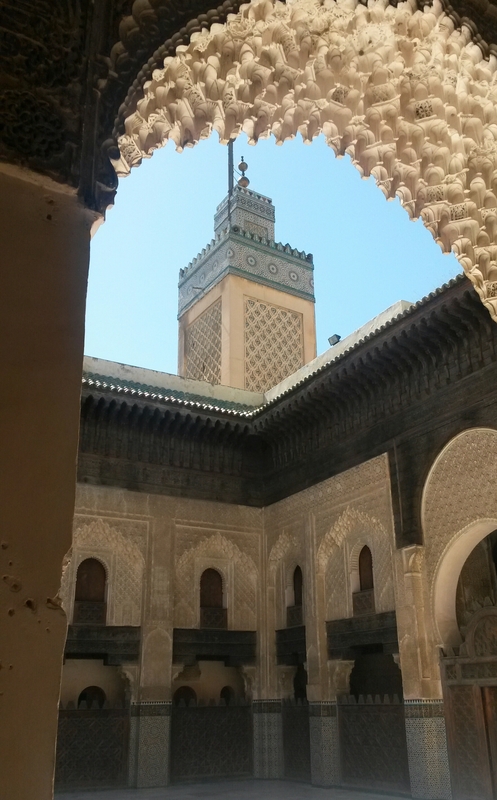 * A 14th-century medersa (Islamic school) with beautiful carving and mosaic work. 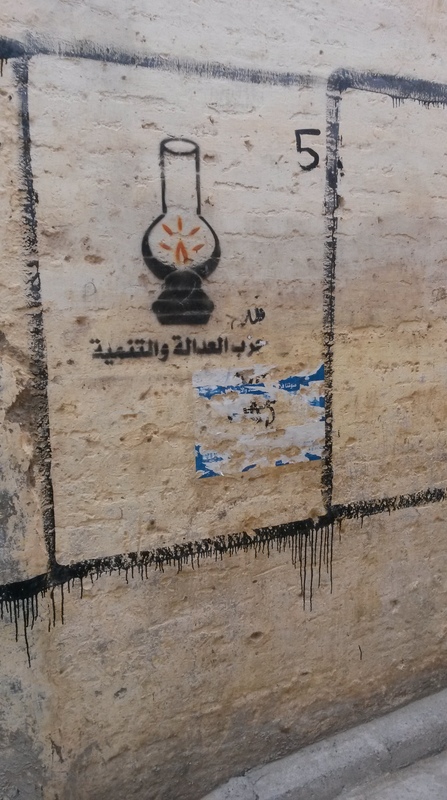 * Political ads on the walls of the medina. I think these are super fascinating! * A tannery. One of the grosser things I have seen and smelled in my life… In fact, they gave us sprigs of mint at the door to hold over our noses as we walked through! 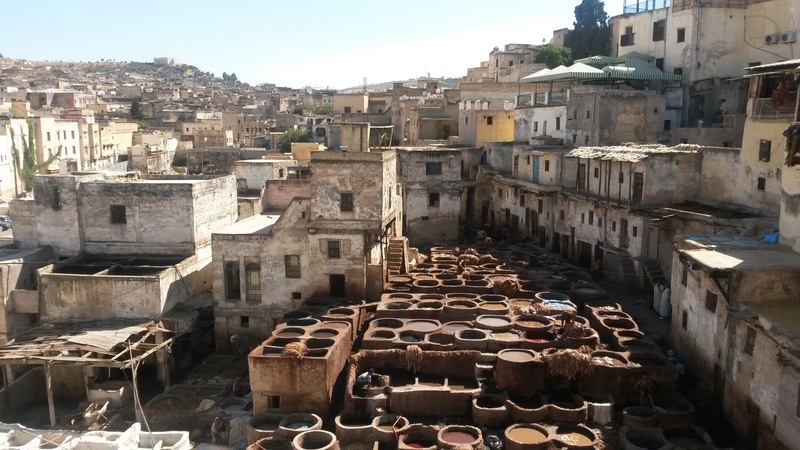 Leather production is big in Fes. The next time you start complaining about your job, remember that your job could be this!